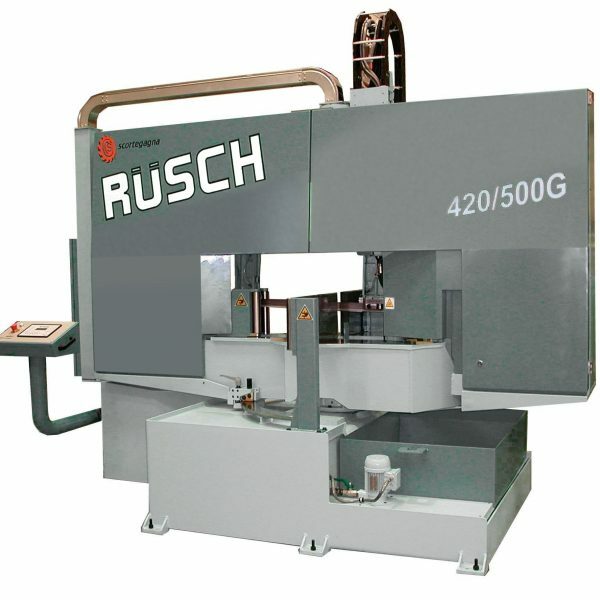 Semi-automatic band sawing machine for angled cuts, twin columns sliding on ball guides. Rotating table with hydraulic clamping to the desired angle. Ideally suited for automatic cutting line with loading and unloading. Machine stops in case of blade breakage and power failure. Pressure-reducing valves on vice jaws (allows cutting of thin walled tubes without deforming). Bow returns to top of work piece after cut. Automatic shut down of machine if left idle. Motovariator inverter which means long lasting mechanical parts and no power loss.